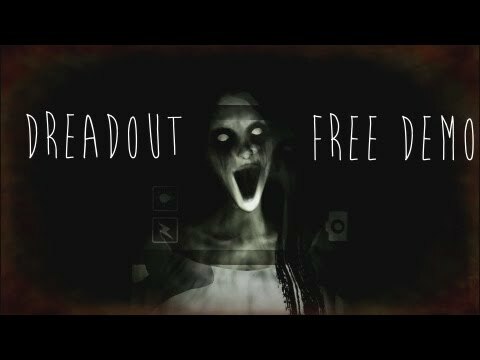 DreadOut is a third person supernatural horror game where you play as Linda, a high school student trapped in an old abandoned town. Equipped with her trusty smart-phone, she will battle against terrifying encounters and solve mysterious puzzles which will ultimately determine her fate. Help her overcome the challenges that will stand before her. Survive the Dread! When a group of high school students went astray from a field trip, they came across something totally unexpected. A town long forgotten trapped in a peaceful state of slumber. What they did not realize was what lurks within. And what seemed like an innocent stroll turns into disaster as the secluded town reveals its dark and terrible secrets. The presence of sinister forces from beyond their realm of existence. It all comes down to Linda. She will experience stirrings of unfamiliar powers, emerging from within herself. These new found abilities might just be the only way she can save her own life and those of her friends. Explore a haunted environment in an Asian - Indonesian setting. Battle against terrifying beings from a supernatural realm. Solve mysterious puzzles that block your path. Switch between first person and third person view. Engage in a thrilling storyline. Buy DreadOut for 1,898.69 DXC?